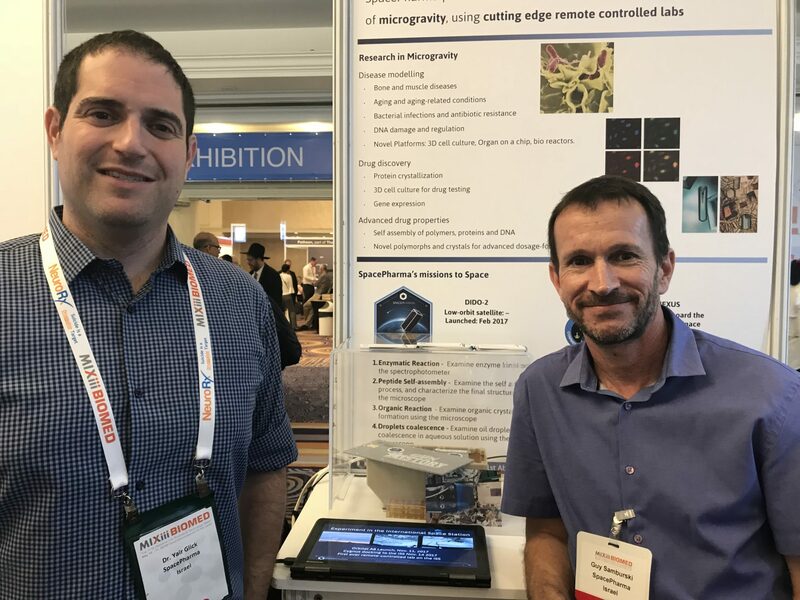 If there’s one conference every year that is guaranteed to highlight fascinating new health innovations, it’s Israel’s MIXiii-Biomed, held last week in Tel Aviv. 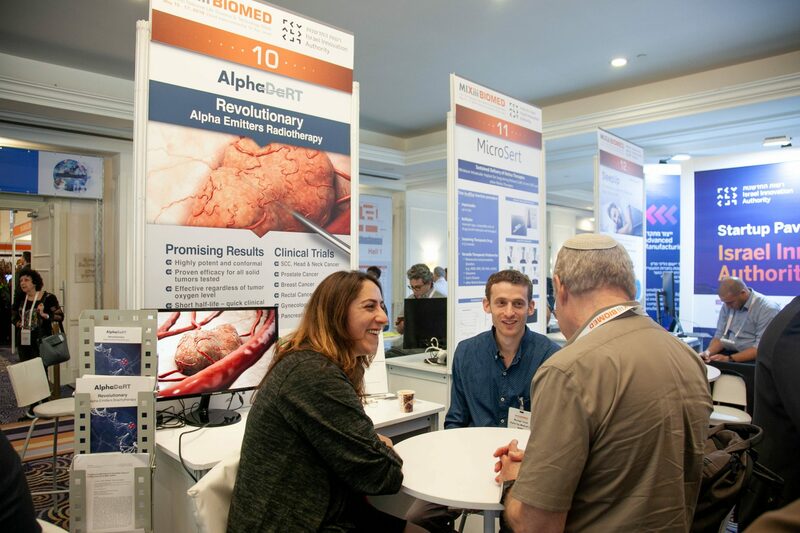 This annual three-day life-science and biomed conference has been running for 17 years and attracts around 6,000 healthcare professionals, investors, engineers and scientists, including more than 1,000 attendees from over 45 countries, who come to learn about the newest developments in biotech, digital health and medical devices emerging from Israel. 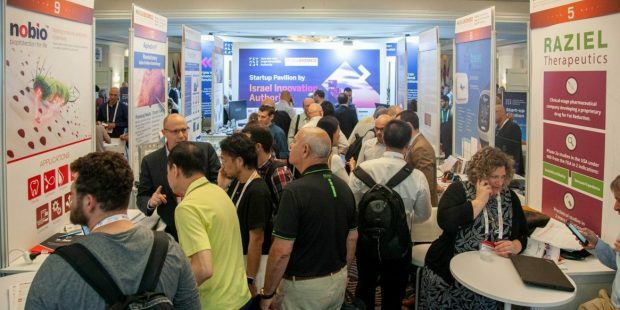 The event at the David InterContinental Hotel featured an exhibition sponsored by the Israel Innovation Authority (IIA) showcasing 45 startups developing healthcare products in anything from medical devices to nanotech, biomed and drug-delivery systems. 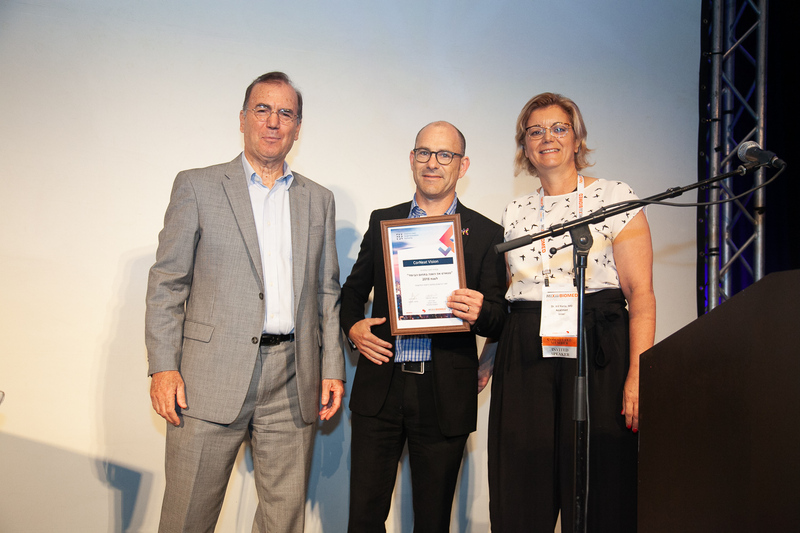 For the second year in a row, 10 of the companies taking part in this exhibition were invited to enter the IIA’s Biomed Startup of the Year competition. Finalists were chosen by a panel including Ami Appelbaum, chairman of the IIA and chief scientist of the Israel Ministry of Economy and Industry; Anya Eldan, vice president of the IIA’s startup division; and Karin Mayer Rubinstein, CEO and President of Israel Advanced Technology Industries (IATI). The winners, announced on Thursday last week, were CorNeat Vision, which has developed an artificial cornea; and PixCell Medical, which is developing a bedside blood-count device. “The 10 companies that participated were a remarkable variety of what the Israeli life-science industry has to offer,” said Appelbaum. Here we take a more in-depth look at the 10 Israeli startups chosen as the best of the year. CorNeat Vision was one of the joint winners of the startup competition at Biomed, and for good reason – the technology is just so cool. The company is developing an artificial cornea implant, the CorNeat KPro, which could offer a remedy to millions of people suffering from diseases of the cornea. The early-stage technology is a patented synthetic cornea that uses advanced cell technology to integrate artificial optics within resident ocular tissue. It can be transplanted in a simple 30-minute surgery, according to the company. Ra’anana-based CorNeat plans to move to human implantations sometime this year, and to begin clinical trials in the US. According to the World Health Organization, diseases of the cornea are the second leading cause of blindness worldwide, second only to cataracts. As many as 30 million people are affected, with around two million new cases each year. “Unlike previous devices, which attempt to integrate optics into the native cornea, CorNeat’s implant leverages a virtual space under the conjunctiva that is rich with fibroblast cells, heals quickly and provides robust long-term integration,” said CorNeat’s CEO and VP R&D Almog Aley-Raz. PixCell Medical is the second winner of this year’s Biomed startup competition. The company is developing a breakthrough low-cost portable hematology analyzer that performs a complete blood count (CBC) at the point of care. With just a tiny drop of blood, PixCell’s HemoScreen can analyze 20 standard CBC parameters, including red blood cells and five different white blood cell types, and identify anomalous cells and hemoglobin levels, in just five minutes. HemoScreen relies on a new microfluidics technology that causes cells to migrate to the center of flow and perfectly align into a single layer. Identification and classification of the cells is achieved using machine-learning and machine-vision algorithms superior to present methods. Swiss-Israeli SpacePharma will democratize the process of doing experiments in space, according to Guy Samburski, the company’s head of chemical and pharmaceutical technologies. “NASA has made huge efforts to enable commercial companies to carry out experiments in space, but it’s too slow and expensive. SpacePharma makes the same science available to everyone – universities, pharma companies — at a much, much cheaper price,” he tells ISRAEL21c at MIXiii-Biomed. Experimenting in microgravity is an essential tool for many pharma and research companies today. Taking gravity out of the equation simplifies the physics and removes many obstacles to bacteria growth and stem-cell research. Already companies like Merck, Procter & Gamble and Eli Lilly have conducted tests on the International Space Station over the last decade. However, these experiments are hugely expensive and have to be extremely well vetted because they need to be carried out by the astronauts themselves. SpacePharma creates minilabs that can be rented for up to six months of orbital research. 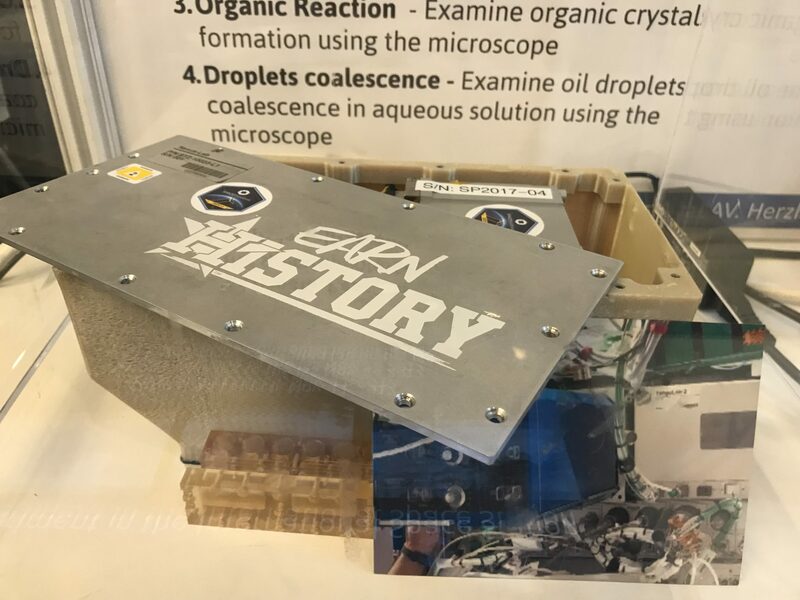 These minilabs – about the size of a milk carton – can include a number of experiments that can be carried out remotely from Israel, reducing costs drastically. All an astronaut has to do is turn it on. Since all experiments are done remotely, the minilabs can be docked on the International Space Station or attached to private satellites. SpacePharma was founded by Yossi Yamin, a former commander of the Israeli Defense Forces’ satellite unit, and has already carried out two rounds of experiments in space. It is the first company in the field, and though competitors are now beginning to emerge, Samburski says SpacePharma, which is headquartered in Switzerland with R&D in Herzliya, is two to three years ahead. Two and a half year old NovaSight has developed a technology based on eye-tracking to help children with vision disorders. The company’s first product is a system called EyeSwift, which it claims can revolutionize diagnosis of strabismus – a misalignment of the eyes, CI (Convergence insufficiency) and reading disorders. Strabismus is treated by corrective surgery, but its success is dependent on the accuracy of the misalignment measurement – until now a laborious, inaccurate, manual process that has not changed for decades. EyeSwift uses eye-tracking technology as well as self-designed active glasses to diagnose visual disorders quickly and reliably while patients watch a short animated video. The system has already received CE approval. NovaSight, which is based in Airport City in Israel, has also developed another product called CureSight to treat amblyopia (lazy eye) and CI. “When you have lazy eye the gold standard treatment is a patch covering the good eye,” Liran Adlin, the company’s marketing manager, tells ISRAEL21c. “This can be a great source of embarrassment for children, however, and there’s only about 50% compliance, which isn’t good. Alpha particles are considered a powerful tool against cancer because they can damage the DNA of a tumor cell regardless of the level of oxygenation or the cell cycle stage, but their downside is a short range. Israeli startup Alpha Tau Medical believes its potent alpha radiotherapy technology provides the answer. Alpha DaRT (Diffusing Alpha-Emitters Radiation Therapy), developed in 2003 by Itzhak Kelson and Yona Keisara from Tel Aviv University, is based on a radioactive seed that can be injected into a solid tumor. As the seed decays it releases atoms that emit high-energy alpha particles that destroy tumor tissue. Preclinical trials have found the technology to be safe for various indications, including tumors considered resistant to standard radiotherapy. The company, led by CEO and Chairman Uzi Sofer, is now carrying out clinical trials in Israel and Italy and plans further trials around the world. Herzliya startup Neurosteer has developed a small wearable sensor for monitoring brain activity in people with neurological disorders, and providing high-quality neurological data. The sticker-sized sensor can be used for a wide range of medical, wellness and lifestyle applications and combines advanced neuroscience and proprietary machine learning to capture brain activity, interpret brain dynamics, and detect emotions, neurological states, engagement, attention and intent in real time. The sensor can be used in the hospital, in rehab and at home. It can also be used to monitor patients undergoing psychiatric clinical trials. Tel Aviv’s Brainvivo develops MRI-based software that enhances MRI resolution for early detection, monitoring and treatment of neurodegenerative brain disorders. The company’s software overcomes the MRI resolution limitation by tracking the movement of water molecules within brain tissues, and providing MRI data that allows the measurement of both the neural fiber diameter and layers of the brain cortex. The company was cofounded by Assaf Horowitz and Prof. Yaniv Assaf from Tel Aviv University. TempraMed develops small, hassle-free cooling products for keeping sensitive injectable medications like insulin, for the treatment of diabetes, at the proper temperature. The company, which has been working in stealth mode for some years, has developed a series of products including replaceable caps lined with a space-grade thermal insulation to fit over popular insulin pens and vials. It is now working on a similar product for EpiPens, which are designed for treating allergies. TempraMed was founded by Israeli Ron Nagar, who has worked in the medical-device field for 20 years, and whose father has Type 2 diabetes. Millions of people suffer from reduced motor function of their digestive system, leading to malnutrition and a higher risk of infection. It’s a phenomenon common in critically ill patients, as well as neurological, surgical, geriatric and neonatal patients. 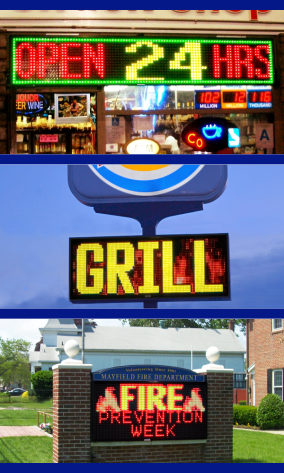 A severely limited ability to eat detrimentally affects well-being and quality of life. Founded in 2011, Tel Aviv’s E-Motion Medical has developed a unique technology that it claims can deliver stimulation to the esophagus, generating contractions, restoring esophageal and digestive motor function, reducing infectious complications and improving survival and physical function. Patients who have undergone gastric weight-loss surgery have to alter their eating behavior radically in order to sustain their lower weight. For many, this proves too difficult, and can lead to complications, weight gain and new operations. Israeli startup BarimOte hopes to improve those odds with a new eating behavior monitoring and training technology, which it claims can enhance the success rate of weight-loss surgery. The company’s patented technology will offer biofeedback during meals, real-time analysis of eating behavior patterns, remote e-monitoring to caregivers, and even caloric intake at every meal. It sends alerts and referrals to the surgeon in case of complications.